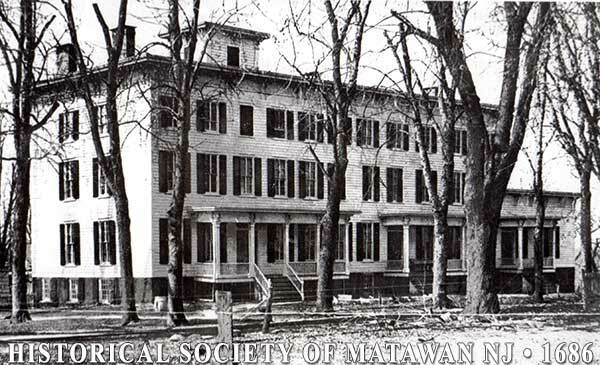 177 Main Street The establishment of local brickyards, combined with increased local affluence, resulted in the construction of several fine brick residences in Matawan in the early 19th century. 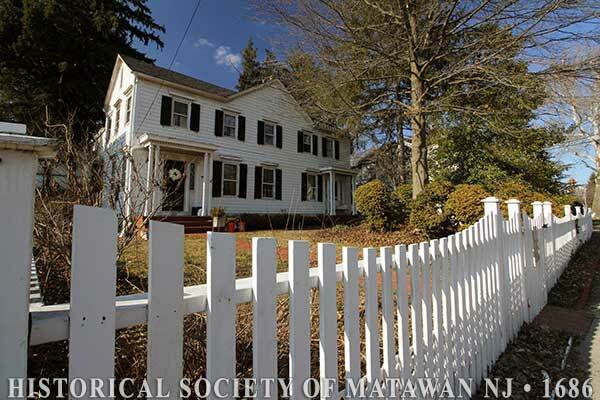 S. Potter, a lumber merchant from New York, built this Greek Revival house in the 1830's of Flemish bond red brick with stone trim and a Greek-inspired frieze decorated with scroll-patterned grates and triglyphs. The house is locally known as Potter's Folly after his unsuccessful attempt to establish a boarding school here. 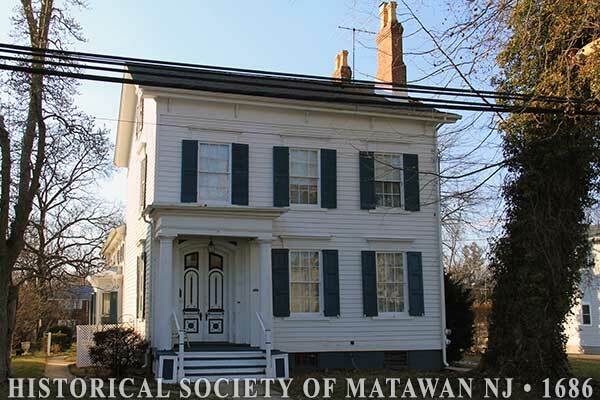 80 Main Street Most of Matawan's 19th-century housing stock was made up of modest two-story clapboard houses like this well-preserved example. Lumber and hardware merchant Aaron Longstreet built this Greek Revival/Italianate dwelling in the 1840's. Paneled double doors, a tin roof, and terra cotta chimney caps are among its distinguishing early features. 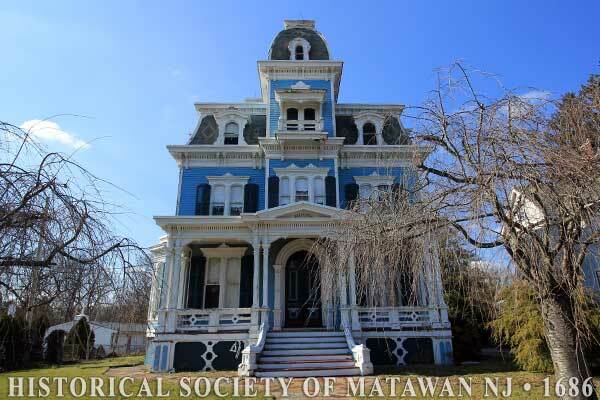 226 Main Street When New York textile merchant David Ryer moved to Matawan and built this elaborate towered dwelling in 1873, mansard roofed houses like these were in high fashion. 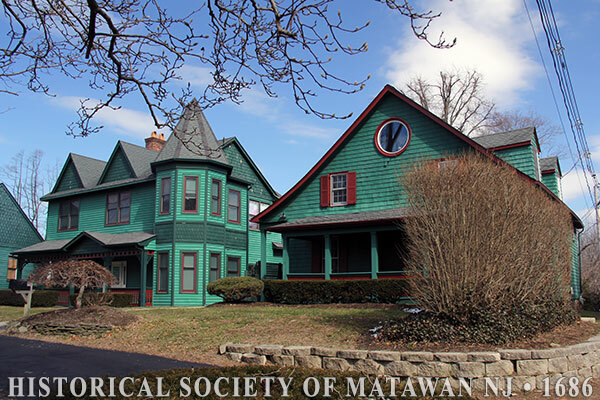 Succeeding owners preserved the original features and ornate wood detail, and today it is Matawan's most striking residence and Monmouth County's finest example of the French Second Empire style. 222 Main Street A pair of hand-carved Federal style doorways distinguish this late 18th century house. Delicate fan shpaes and slender flanking sidelights on the doorway are an important identifying feature of the Federal style, popular between 1780 and 1830. 298 Main Street Once part of a 60-acre farm that extended to Route 34, the Schanck House stands as an early surviving farmhouse in Matawan. 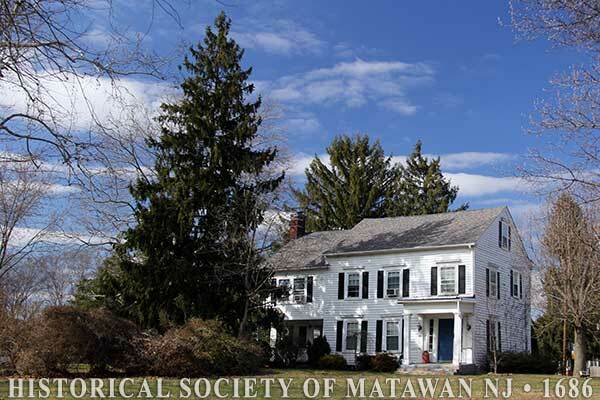 Although the origins of the house may date to 1726, the large, two-story section was built in the late 1700's with later alterations. During the 19th century, the farm was owned by DeLafayette Schanck and then by his nephew Roelof V. Schanck, who operated a tannery and currier's business on the property. 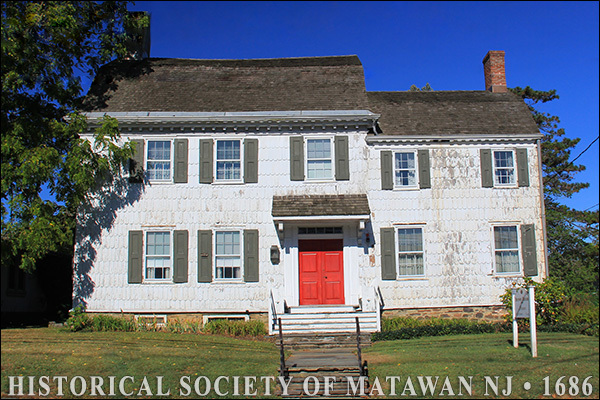 94 Main Street Recognized by its hand-split, round-cut shingles and gambrel roof, Matawan's most important colonial house is associated with John Burrowes, Sr., a grain merchant known as "Corn King" and John Burrowes, Jr., who helped organize the First NJ Company in the Revolutionary War. Tradition dates the house to 1723. 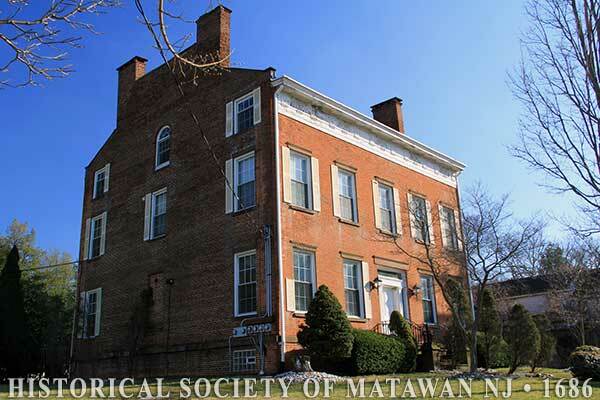 The building is now operated as a historic house museum and open to the public.